We know what papers work best with what print processes. We experiment with every paper we offer for proven performance and we have carefully considered what designers like you want. Almost all of our papers are made in The United States and many contain recycled content. Learn more about our papers and choose the right fit for your artwork. Most of our products are available in both white and ecru. White paper is bright, clean and crisp. 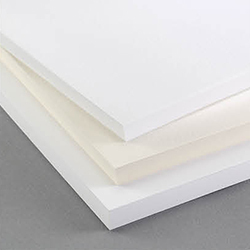 Ecru paper is cream-colored paper, slightly darker than ivory. Both white and ecru are smooth and even with no variations in color — perfect for digital printing! 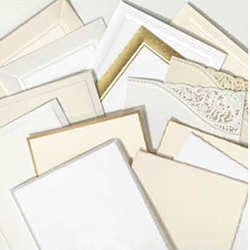 We also offer colored paper stocks for foil-stamped cards. The paper weight you choose won't affect the quality of your artwork but a heavier paper has a more luxurious feel. We offer a wide range of paper weights so you can choose the right one for the job, whether it's a formal wedding invitation or a simple birth announcement. We offer three main finishes: smooth, shimmer and textured. Each finish will enhance your artwork in a different way: a smooth finish is classic and elegant, a shimmer finish lends a nice glow and textured adds depth and interest. Excellent quality for an excellent price, this paper is the most commonly used paper in printed stationery. A soft, smooth finish is the distinguishing characteristic and it's available in white, ecru and select colors. We offer shimmer and glitter paper, both of which are luminous! Paper with a hint of shimmer gives your design an elegant glow without being over the top. Glitter paper offers magnificent sparkle and lovely texture but no loose glitter! Shimmer papers are available in white, ecru and select colors. Glitter is available in white. The slightly rough feel and grainy look of textured paper adds depth and interest to any design. 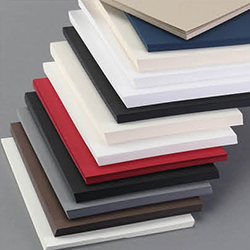 The paper is still soft with smooth, beautiful color but adding a slight texture creates a uniquely rich appearance. 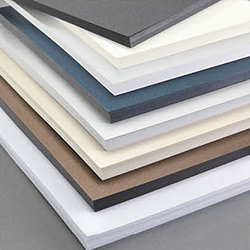 CRANE'S LETTRA® Papers provide the impeccable quality that makes letterpress and other specialty print methods so distinct and highly sought after. These 100% cotton papers are soft to the touch and look extra luxurious.